One thing that Americans certainly discovered is that real estate is not a fool proof investment as they once believed. Also, Americans became much more skilled at spotting housing bubbles. So now they are looking north to Canada, and guess what they see? The exact same thing that happened to them in 2005. 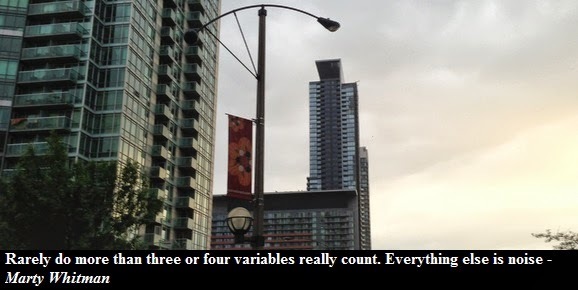 One variable that “really counts” in real estate is home prices in relation to average incomes. People have to pay for their homes over time, and that money has to come from income. While the short run is dominated by changes in interest rates and supply, there is little historical precedent for home prices growing faster than incomes over time. During America’s bubble, we made all kinds of excuses for home prices growing faster than incomes. We said housing was special. We said mortgage rates would stay low. We said we could always sell our home to someone else. And we were wrong about all three. By 2010 the price-to-income ratio of American homes plunged back to historic average levels, where the humble laws of financial arithmetic said they belonged. Americans once tried to justify home prices rising faster than rents. We said there was pride in owning a home. We said renting was throwing your money away. We said owning a home provided freedom. But we ignored that rents are to homes what earnings are to stocks — a symbol of valuation that, over time, act as an anchor on prices. 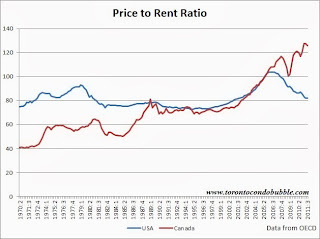 The price-to-rent ratio in Canada has risen by 70% since 2000. 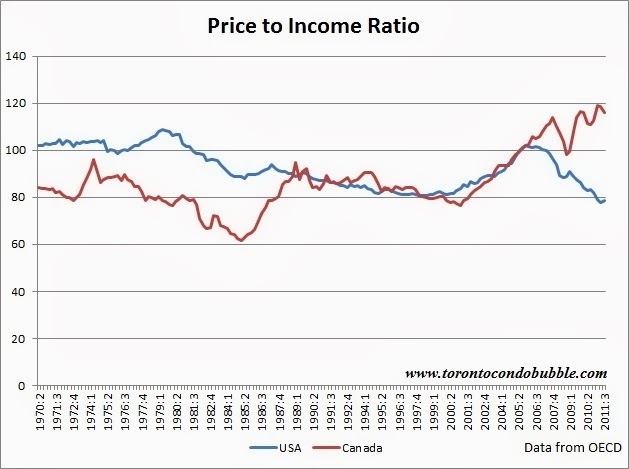 One Canadian commenter told a personal story atThe Daily Beast recently: “Buyers in Toronto are paying $1,958 a month to buy a place they could rent for $1,104.” That is neither sustainable nor rational over time. 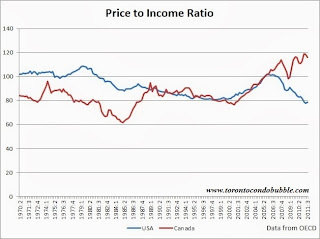 The thing to realize about the price-to-rent ratio is that it is not effected by immigration. Any new demand due to the growing population puts equal pressure on both rents and home prices. Some even argue that immigration puts even more pressure on rents than on housing prices as newcomers usually rent before buying. 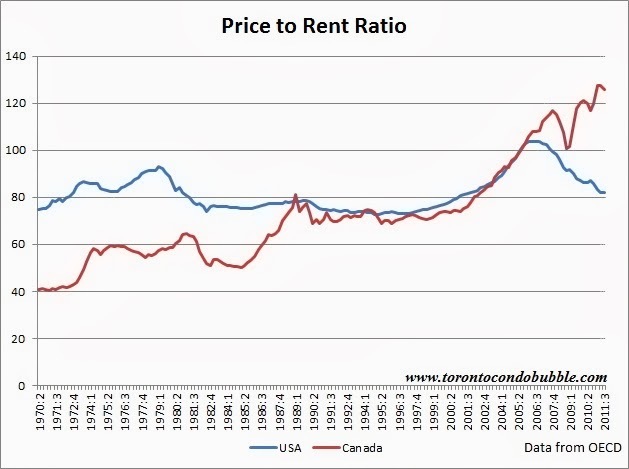 Yet, even with increased pressure on rents from the newcomers to Canada, the price-to-rent ratio still keeps rising.